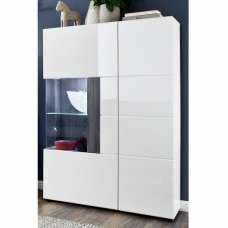 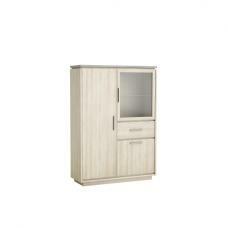 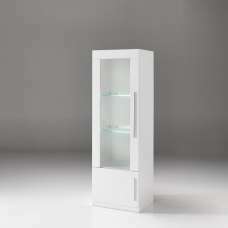 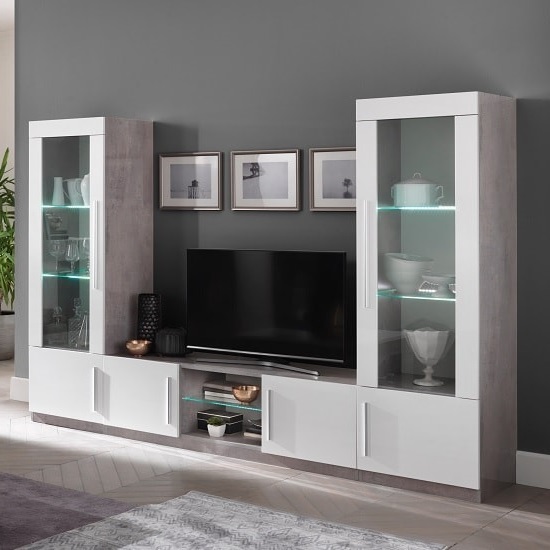 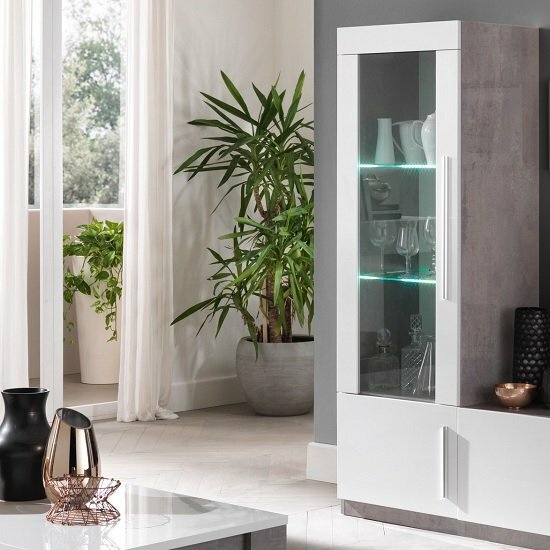 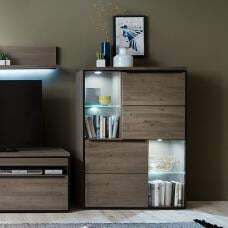 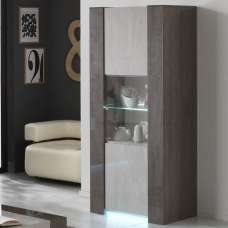 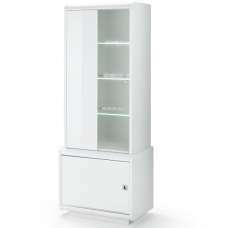 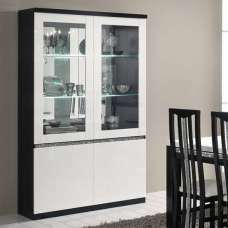 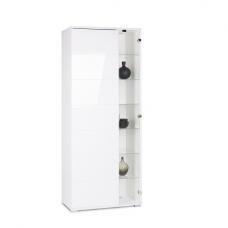 Breta Display Cabinet Narrow In Grey Marble Effect With White High Gloss Lacquer And LED Lighting, fabulously designed remarkable piece of furniture makes a great addition in your home. 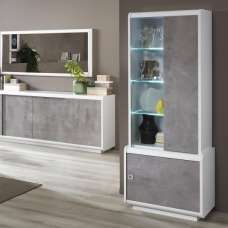 Finsihed in Grey Marble Effect With White High Gloss Fronts. 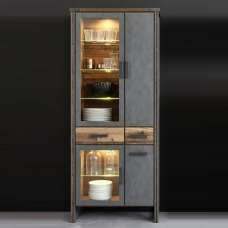 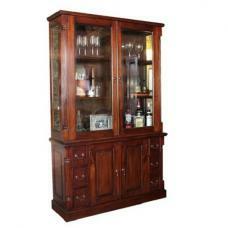 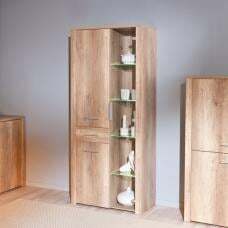 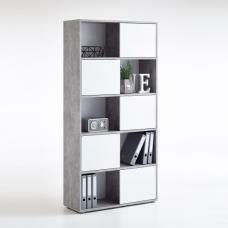 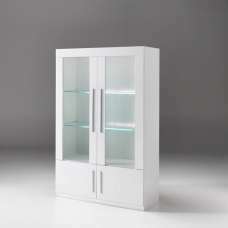 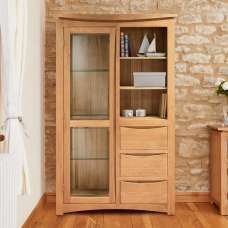 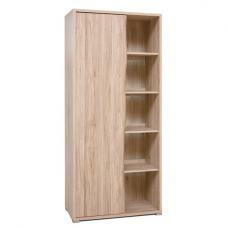 It features 1 glass and 1 wooden door with glass shelves. 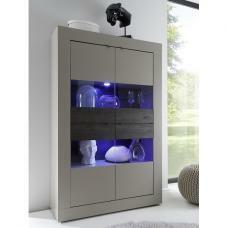 LED lighting for each glass shelf is included.